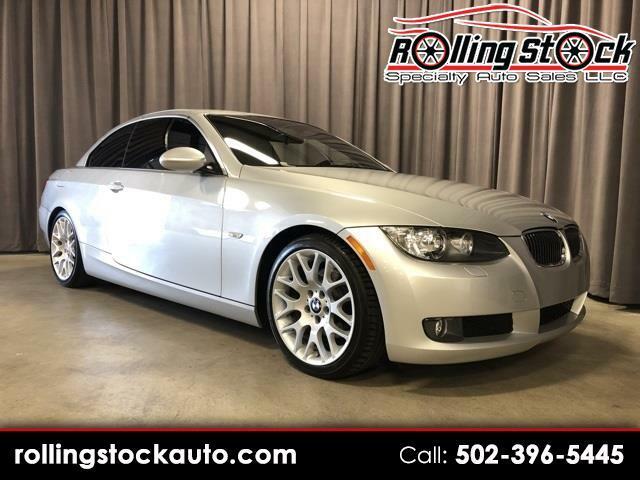 2009 BMW 328i Convertible Sport/Premium- Local New Car Trade, CLEAN CARFAX REPORT, All Service Up to Date and the Lowest Mile One In the Country for Sale with Only 16K Documented Miles. Sport Package,Cold Weather Package, Comfort Access, Dynamic Cruise, Premium Package, Multi Function Steering Wheel with Paddles, Automatic Climate Control, HI-FI Sound Package. This Car Still Smells New Inside and I Have Personally Inspected and Driven it to be Perfect in Everyway. Contact Cary Donovan 502-396-5445 to Schedule Your Personalized Appointment to See it On Display at My Louisville Indoor Showroom..